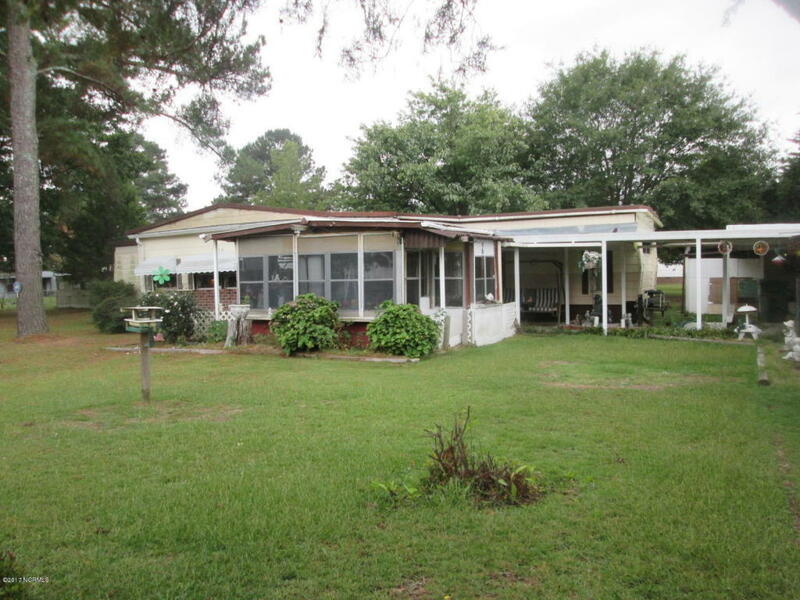 Unusual almost an acre corner lot in country with 12 wide home with large add on, new roof and siding plus front enclosed porch and sunroom. property has a covered walk way from home to 2 car garage/workshop and 2+ car carport. Many out buildings on property. Also selling tools and other items.